Click here to see our route on Google maps (it doesn’t work on the iPad, Sorry) – it’s doesn’t show every little attraction we went to. Google only allows so many points on the map, but it does show the main route we took. Overall it was a huge success, only 1 flat tire, and few other problems. 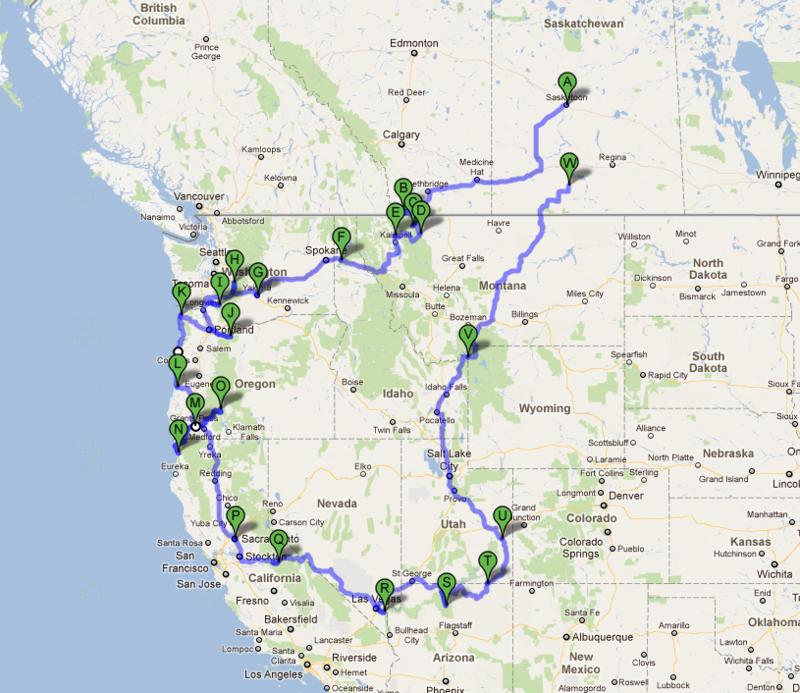 However, 30 days is not enough time to fully explore everything on the loop shown below. We started out slow, 30% driving, 30% sightseeing and 40% relaxing and enjoying the campsite. It soon became apparent that we would need to shift that to 45-45-10. 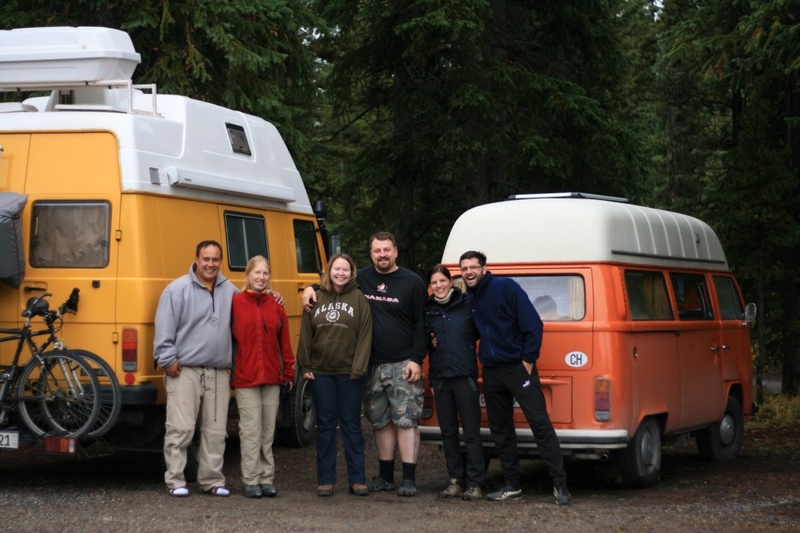 We’d met Frank and Isabelle last fall in Jasper, and we followed their blog as they spent 18 months driving across Canada, Down the Western States and then through South America. We thought that this would be very hard to do, being away from the comforts of home would make life hard. But after these 30 days went by like an August long weekend I can now see that it would be super easy. Sure, it gets annoying when you run out of clean socks or cream for the coffee, but after a quick restock and refresh and your good to go for another 2 weeks. Suddenly 18 months is not so far fetched.